Here at Frederick Auto Body, we value the members of the Military who serve this country! We appreciate they sacrifices our military members make to protect The United States of America, and know that they are the first line of defense for the freedoms we hold dear. As a small thank you, Frederick Auto Body is very happy and proud to offer a 10% Military Discount for all active military members and their immediate families. This money can be used to help offset your deductible, for extra body work you want us to perform, or as cold hard cash in your pocket! 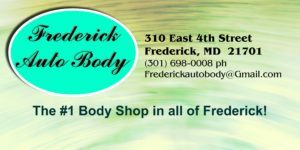 So if you are in the military and have been in an accident, or just want to fix up your vehicle, come to Frederick Auto Body at 310 East 4th Street, or call us at (301) 698-0008. We will make sure your car is fixed like new, with a lifetime warranty on all paint and body work. No coupon necessary, just come in with your military ID and we will happily offer you the savings. And thanks again for your service to the USA! 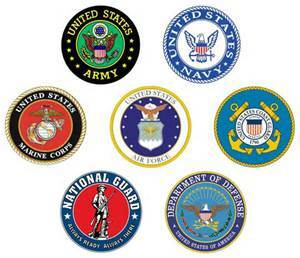 Military Discount to all branches of active Duty Military.